The Ocean Rider Seahorse Farm is the first and only seahorse farm in the world dedicated to preserving the endangered seahorse with the worlds only living gene bank of live, breeding seahorses and sea dragons housing over 30 species here on our 3 acre oceanfront farm at Keahole Point, Kona. Reservations are recommended to secure a spot on the tour. Tour times are Monday through Friday and are subject to change depending on the time of year and the number of seahorses in production on the farm. Please check the ticket section online to verify times or call 808 329 6840. You may make your reservation online or over the phone. Leafy and Weedy Sea Dragons are on display when they are not breeding. Ocean Rider was started in 1998 by a highly skilled couple that wanted to make a difference. 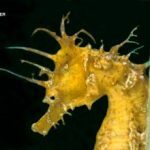 Without any government assistance, venture capitalist, or angel investors (still self financed today) and against all odds, they began producing farm raised seahorses for the global pet trade in order to reduce the fishing pressure on the coral reefs around the world. 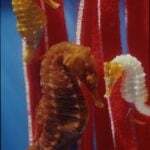 Within 2 years Ocean Rider produced enough high quality farm raised seahorses to supply the entire global pet seahorse trade, shutting down the collection of wild seahorses forever. Our story has now become a model as to the difference a few people, a good idea, and a small aqua-farm can make in protecting and reducing the pressure on our coral reefs and sea grass beds. 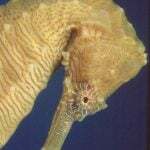 The technology developed here for the culture of seahorses is transferrable to the culture of other exotic marine fish from the coral reefs to the deep sea paving a way to greatly reduce the amount of wild fish taken out of our ocean. It is our belief that we can bring our oceans back to the level of health and productivity seen at the turn of the century by using this technology combined with conservation solutions that are available to us all. Tours are given at our Keahole Point, Kona, Hawaii facilities, Ocean Rider houses over 30 seahorse species on our 3 acre ocean-front farm. 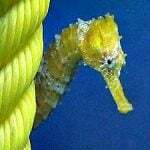 Our tours are for families and children that want to see baby seahorses, pregnant males, feed and hold seahorses and learn about their natural history. Our tours are also for the intellectual and conservation minded individual who is interested in the technology behind the operation. Ocean Rider is a cutting edge, organic marine ornamental aqua-farm that redefines sustainability, and our tours explain the realities of ocean conservation today for our world waterways, coral reefs and deep ocean. We will explain what the problems are and offer solutions that are real and inspiring to all of us. We truly believe we can bring our oceans back to what they were without having to stop eating fish. In fact we believe that eating wild fish should be one of many motivating forces to help save the ocean from further destruction. 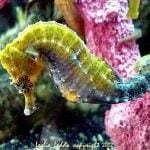 The Ocean Rider Kona tours are for families and children that want to see baby seahorses, pregnant males, feed and hold seahorses and learn about their natural history. On this tour, you will see babies, pregnant males, leafy and weedy sea dragons. You will also be able to enjoy the worlds only sustainable aquarium where more than half the worlds 36 species of seahorses are on display. There is also an interactive tide pool and fish feeding station for the children and a seahorse only gift shop where the proceeds go to the seahorses. Tours are lead by Professional, Certified Biologist who are employed at Ocean Rider with credentials that include: minimum of Bachelor Degree in Biology, special hands on training in the culture and husbandry of seahorses, special training in environmental biology and marine conservation, and special training in public speaking. In other words your tour guide is well educated, knowledgeable and fun! Due to strict bio-security protocol you must be on a scheduled tour to see the sea horses. When you purchase your ticket on line you we will hold your reservations and tickets for you at the gift shop tour desk check in. All you will need is your ID at check in time. Please review and understand the Ocean Rider Kona Tour Guidelines. These guidelines are for your safety and the well being of the animals and their environment. 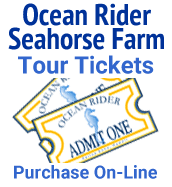 Plan on setting aside 1 1/2 hour for your visit to the seahorse farm. We are sure you will leave in awe! Prices are subject to change without notice due to limited availability of seahorse holding capacity on tours. We highly recommend booking your tour time and prepaying in advance to guarantee your price and your spot on the tour. Sorry, no refunds! !